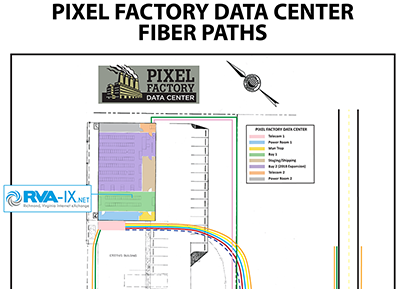 Pixel Factory Data Center features a fully redundant network throughout all edge, core, and distribution layers. 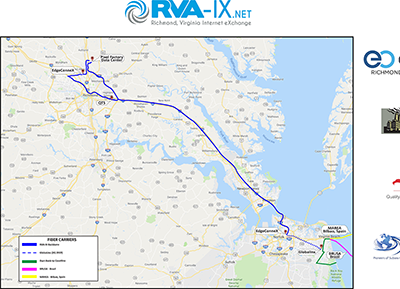 The facility has multi-homed network bandwidth and carrier-neutral cross connects are available to national Tier 1 providers. 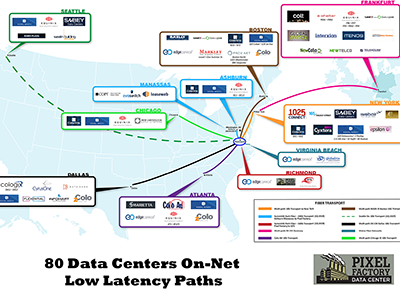 We currently have 80 on net data centers across the world providing ultra low latency paths. With Pixel Factory colocation you can deploy and manage your existing infrastructure in our data center while eliminating the hassle and cost of maintaining your own facility. We provide multiple layers of redundancy across physical security, power, cooling, and network connectivity giving you greater uptime and reliability and the peace of mind to know your equipment is in trusted hands. 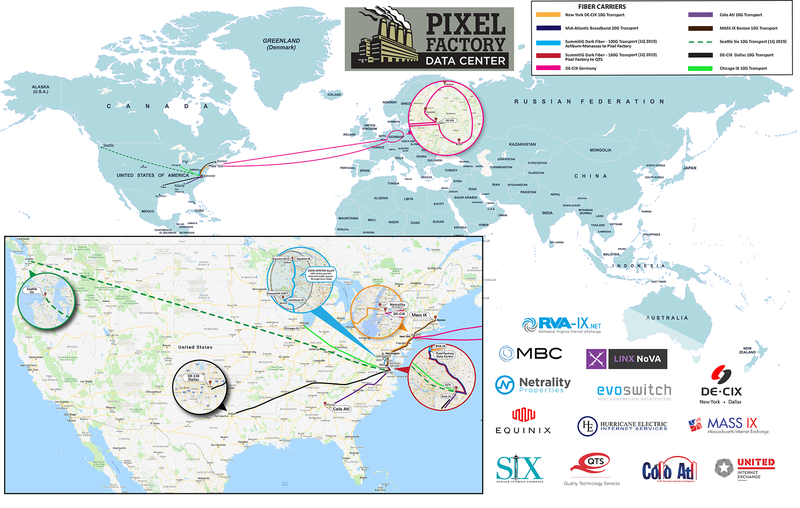 Pixel Factory Data Center makes it easy for you to build a hybrid cloud solution. 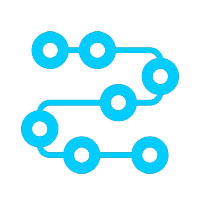 In our facility we provide secure direct connections to leading cloud providers such as Google, Microsoft Azure, Amazon Web Services (AWS) enabling you to deploy a fast and flexible cloud solution. 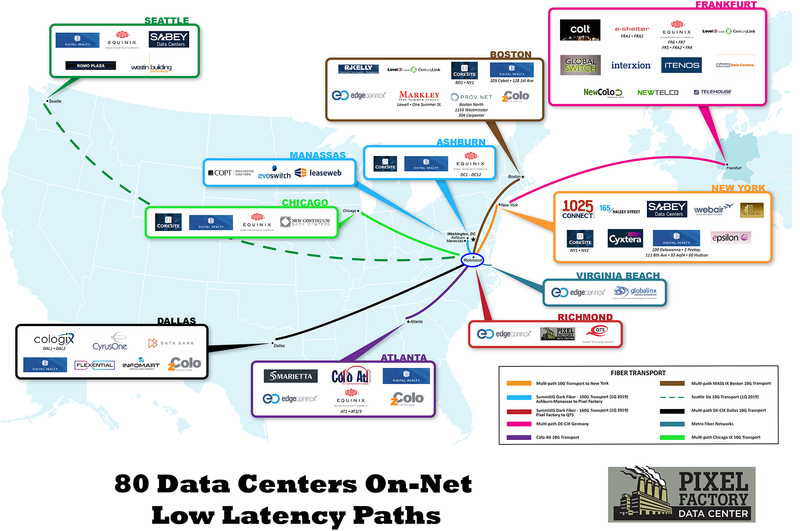 The facility directly peers with data centers around the globe. 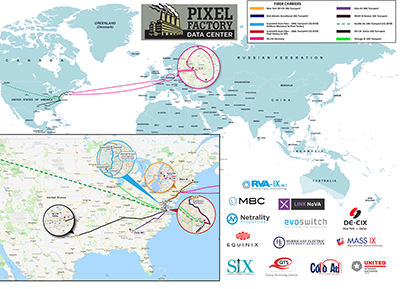 Pixel Factory's global fiber backbone. 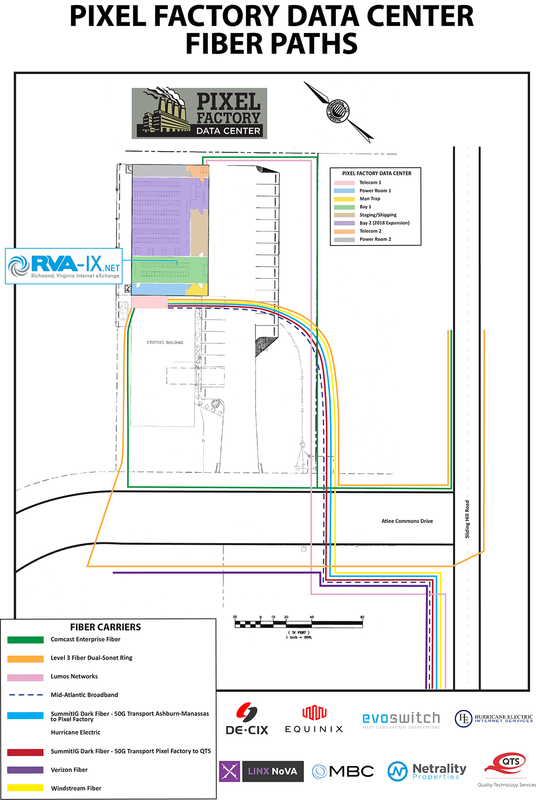 Map of diverse physical fiber paths into the facility. 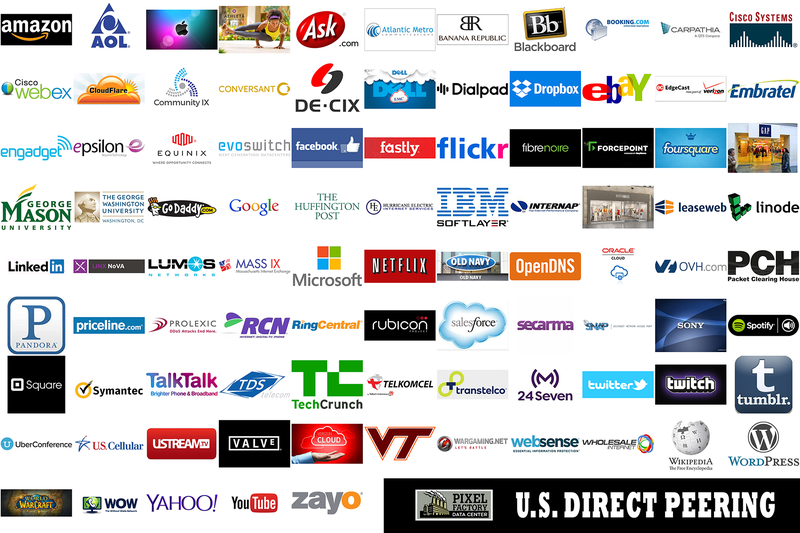 Low latency direct peering with the largest cloud providers and content networks in the United States. 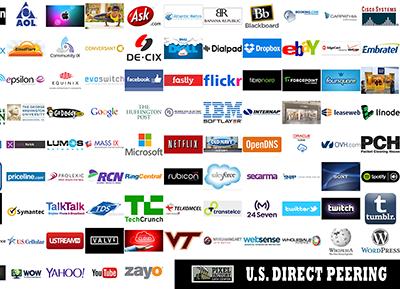 Low latency direct peering with the largest cloud providers and content networks across the globe. 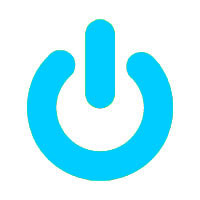 The largest non-profit internet exchange in the greater Richmond Metro Area and growing everyday. 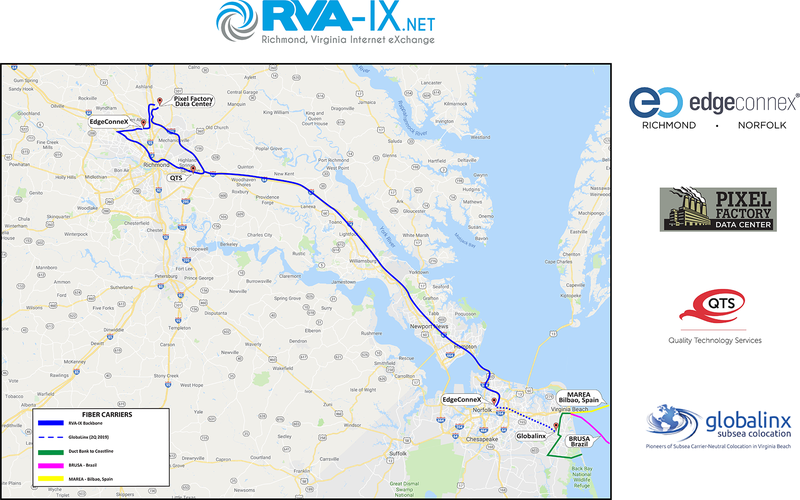 The facility has diverse fiber optic paths from the following carriers connecting directly to our facility: Century Link/Level 3, Comcast, Hurricane Electric, Lumos, Megaport, MBC Mid Atlantic Broadband, Packet Fabric, and Windstream. 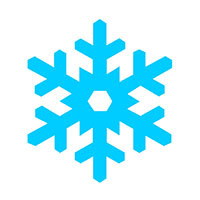 The facility has N+1 redundancy Liebert cooling systems and the temperature in the data center space is maintained to +/- 2°F. The facility is equipped with a FM-200 Inert Gas Fire Suppression system. 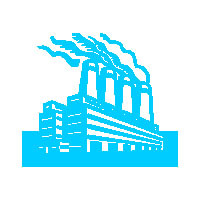 One of the unique features of our data center’s fire supression system as opposed to traditional gas systems is that if the system deploys the facility power is not dropped and cooling is maintained allowing equipment to remain on and fully operational. The facility has biometric and proximity access controls and 8 inch thick mono poured concrete walls. The facility is monitored 24/7 by security systems with internet and cellular based reporting. The premises are monitored via high res IP cameras with night vision capability. Video is recorded 24-hours a day and archived for 30 days on site. The Pixel Factory Data Center is currently under review for SOC2 Type II Compliance and expect to be certified by late 2019. The facility has redundant Liebert UPS Power feeds with diverse power supply routes to each cabinet. The facility has a diesel backup generator and maintains 72 hours of fuel stored on-site for any power outage situation.